Birthday ● Bridal Shower ● Team Building Event ● Business Function ● Anniversary ● Friends Night Out ● Family Reunion ● Housewarming ● Just for Fun! We’ll provide everything you and your guests need to celebrate and create at your pARTy! Check availability and book online OR call us to plan your event! 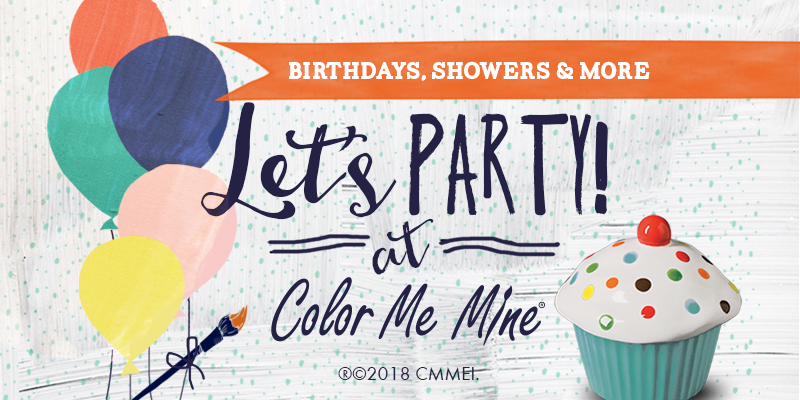 Give us a reason to celebrate and we’ll give you a party! Our room rental is $100 plus the price of the ceramic pieces you pick out to paint.